The National Diabetes Education Program, jointly sponsored by the National Institutes of Health (NIH) and the Centers for Disease Control and Prevention(CDC), has issued a checklist of tips to help you travel with diabetes. These may be helpful to you if you have diabetes or if you are traveling with someone you are caring for, who has diabetes. “Whenever you travel, your diabetes comes along with you, and while having diabetes shouldn’t stop you from traveling in style, you will have to do some careful planning,” say the NIH and CDC. Get all your immunizations. Find out what’s required for where you’re going, and make sure you get the right shots, on time. Control your ABCs: A1C, Blood pressure, and Cholesterol. See your health care provider for a check-up four to six weeks before your trip to make sure your ABCs are under control and in a healthy range before you leave. Plan for time zone changes. Make sure you’ll always know when to take your diabetes medicine, no matter where you are. Remember: eastward travel means a shorter day. If you inject insulin, less may be needed. Westward travel means a longer day, so more insulin may be needed. Have all syringes and insulin delivery systems (including vials of insulin) clearly marked with the pharmaceutical preprinted label that identifies the medications. The FAA recommends that patients travel with their original pharmacy labeled packaging. If the airline offers a meal for your flight call ahead for a diabetic, low fat, or low cholesterol meal. Wait until your food is about to be served before you take your insulin. Otherwise, a delay in the meal could lead to low blood glucose. Because prescription laws may be very different in other countries, write for a list of International Diabetes Federation groups: IDF, 1 rue Defaeqz, B-1000, Belgium or visit http://www.idf.org. You may also want to get a list of English-speaking foreign doctors in case of an emergency. Contact the American Consulate, American Express, or local medical schools for a list of doctors. Insulin in foreign countries comes in different strengths. If you purchase insulin in a foreign country, be sure to use the right syringe for the strength. 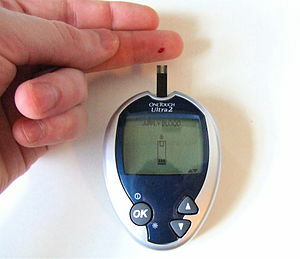 An incorrect syringe may cause you to take too much or too little insulin. Don’t leave your medications in the trunk, glove compartment, or near a window – they might overheat. If possible, carry a cooler in the car to keep medications cool. Bring extra food with you in the car in case you can’t find a restaurant. Always tell at least one person traveling with you about your diabetes. • Protect your feet. Never go barefoot in the shower or pool. You may not be able to leave your diabetes behind, but you can manage it and have a relaxing, safe trip. To learn more about managing your diabetes or to order free resources, visit the National Diabetes Education Program at www.YourDiabetesInfo.org or call 1-888-693-NDEP (1-888-693-6337); TTY: 1-866-569-1162. The U.S. Department of Health and Human Services’ National Diabetes Education Program is jointly sponsored by the National Institutes of Health (NIH) and the Centers for Disease Control and Prevention(CDC) with the support of more than 200 partner organizations.